Last season saw mezzo Andrea Hill singing Mallika in Delibes’ Lakmé with Calgary Opera, Dritte Magd and Schleppeträgerin in Elektra at the Metropolitan Opera, as well as Flora in Verdi’s La Traviata at Royal Opera House. During the 2016⁄17 season, she sings Zweite Magd in Elektra at the Gran Teatre de Liceu in Spain, Komponist in Ariadne auf Naxos with Opéra national de Lorraine à Nancy, and performs Mozart’s Requiem with the Calgary Philharmonic to inaugurate a new concert hall in her hometown of Calgary, Alberta, Canada. She covers Stephano in the Metropolitan Opera’s Production of Roméo et Juliette. She debuts in 2017 with Pacific Opera Victoria as Karolka in Jenufa and Rosina in Il Barbiere di Siviglia for Calgary Opera. In 2018, she returns to the Metropolitan Opera reprising the role of Dritte Magd in Elektra, and Dryade in Ariadne auf Naxos for Festival d’Aix-en-Provence. On the operatic stage, Ms. Hill made her début at the Palais Garnier (Opéra National de Paris) as Varvara in Janacek’s beautiful and disturbing Katia Kabonova. She has since sung the title roles of Carmen the l’Opéra de Tours, and Dido with the Opéra Dijon, and Octavian in excerpts of Strauss’ Der Rosenkavalier at the Théâtre des Champs-Élysées under the baton of Kurt Masur. With the Opéra National de Paris, she has sung many roles, including Hänsel from Humperdinck’s Hänsel und Gretel, Diane in Rameau’s Hippolyte et Aricie with Emmanuelle Haïm, and Krista from Janacek’s The Makropulos Case, Der Gymnasiast in Berg’s Lulu. She is an original cast member of Patrice Chéreau’s final production, Strauss’ Elektra. 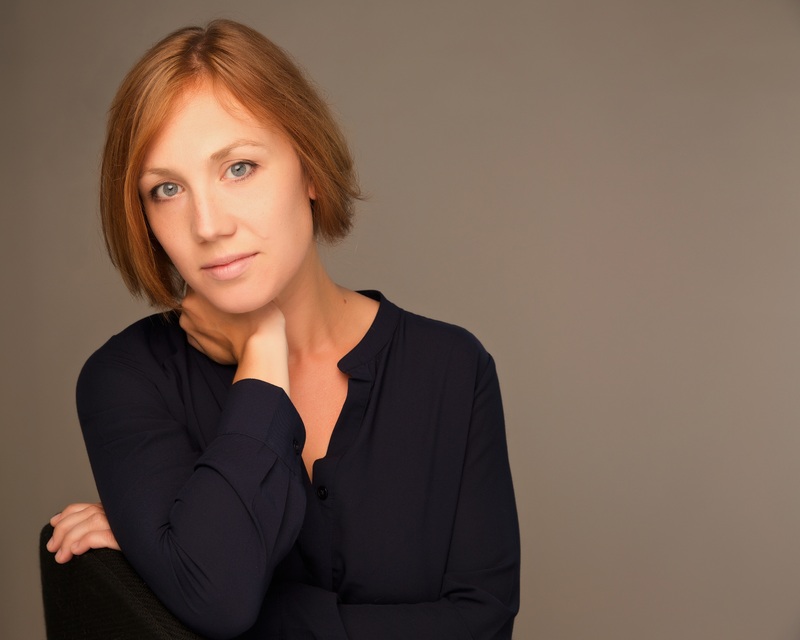 Ms. Hill has sung the Zweite Magd and Schleppeträgerin in Aix-en-Provence and at La Scala in Milan, under the baton of Esa-Pekka Salonen, with whom she has also sung four roles in l’Enfant et les Sortilèges at Royal Festival Hall, in London. A passionate concert and chamber singer, Ms. Hill has been invited to participate in several festivals, including Festival Présences with Radio France, the Ultima Contemporary Music Festival in Oslo Norway, La Grange de Meslay, Musique à l’Empéri, and Aix-en-Provence. In 2010, she traveled to Chicago to take part in the reputed Stean’s Institute of the Ravinia Festival. Ms. Hill completed a Bachelor’s of Music – with high distinction – at McGill University, and a Master’s of Music at the University of Maryland. In 2006, she was part of the inaugural year of Calgary Opera’s Emerging Artist program, shortly thereafter traveling to Hof, Germany, to interpret the title role of Rossini’s La Cenerentola, to great acclaim. 2008 would see her back in Calgary, singing Siebel in Gounod’s Faust, under the direction of Jean-Marie Zeitouni. In 2007, Ms. Hill was invited into the Atelier Lyrique of the Opéra National de Paris, with whom she would perform several operas and concerts throughout Europe.